I really wanted to try my hand at greenery with the Cricut Maker! My initial idea was to use crepe paper. 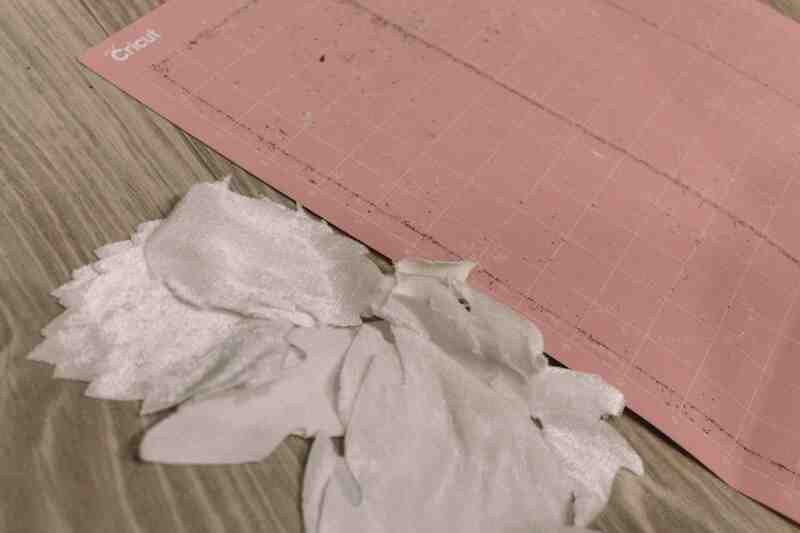 The Crepe paper I had was too thin and so they rolled up and you couldn’t see the shape. I tried pearl paper and that was really beautiful, but it didn’t have the drape I really wanted. Then I remembered I had some velvet scraps I could use! White would have looked beautiful, but I already happened to have some green in my dye pot. 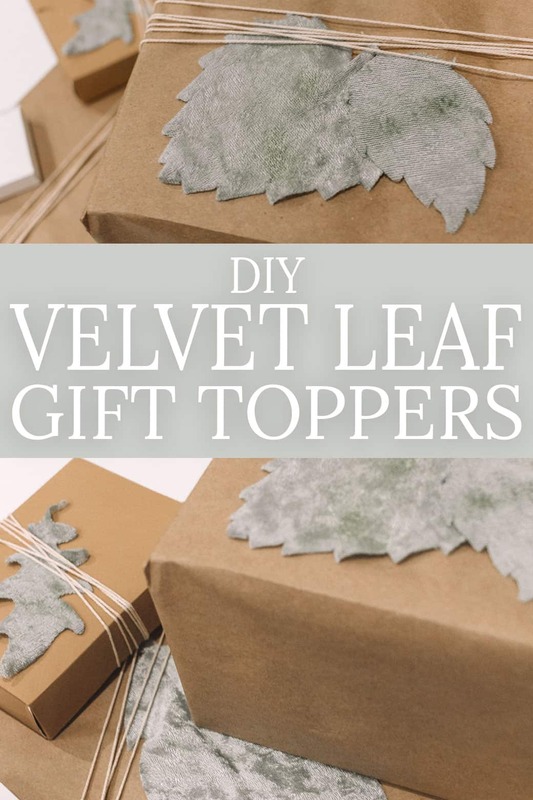 And thus, these beautiful Velvet Leaf Gift Toppers were created! Open the Leaf Design Space File that created for you and start cutting your shapes with your rotary blade. I made the file to fit a 12″x24″ Mat, but if you prefer one of the shapes more feel free to duplicate or delete the ones you don’t love! After they were all cut, I peeled them off carefully. 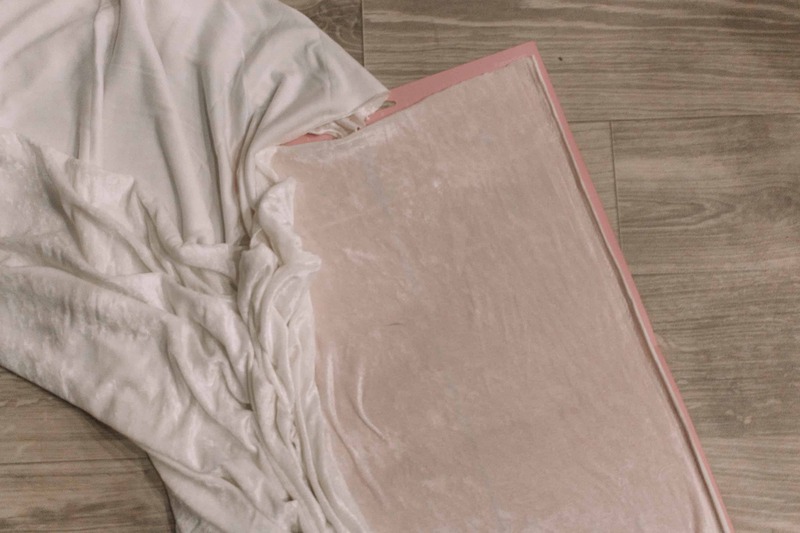 The velvet can easily rip if your mat is new and sticky. If you want to use your spatula or scraper that can ensure you don’t rip it. I did rip off a few little delicate parts, but I wanted them all different anyway so it worked out just fine! They don’t all have to be perfect! 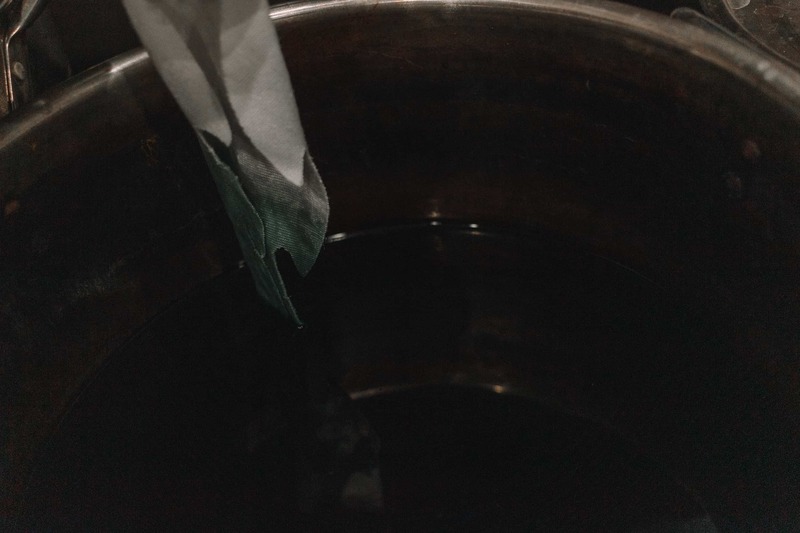 Next, I put the leaves in my dye pot. To make a dye pot like this it’s SO simple! Just put hot water in a bucket with enough water to cover your fabric. This is hardly any fabric so you won’t need much. Then add your dye! More dye means deeper color. If you’re using polyester velvet, you might want to use ‘DyeMore’ and that will give you a more true color. The color I got here came from the linked green dye above. You can see it went more of a sage color, because the polyester didn’t dye the same as cotton does. 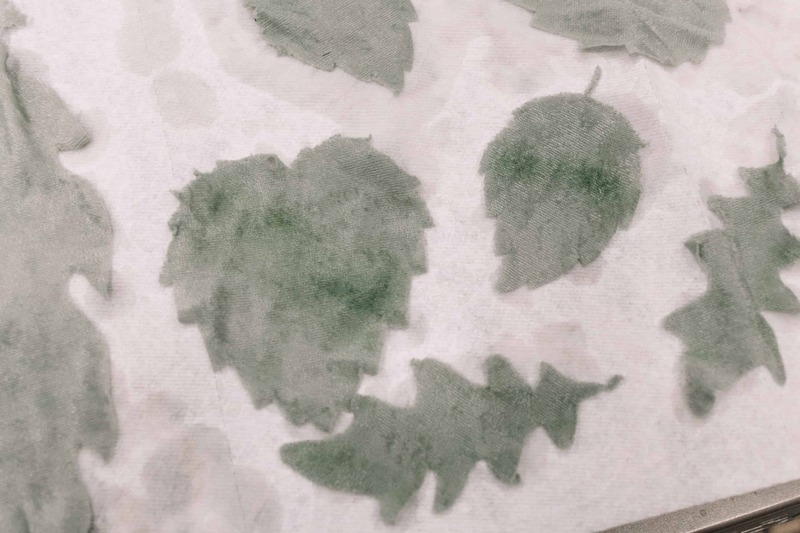 After you’ve dyed your leaves, pull them out and rinse them in cold water. Then let them air dry flat with a towel under them. 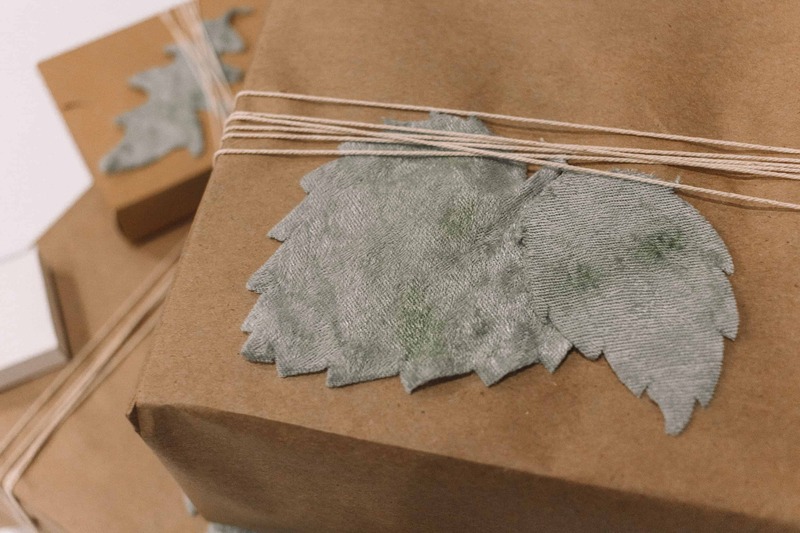 Once they are dry, wrap up your gifts and top them with the leaves! I suggest using just a dab of hot glue to secure them in place. 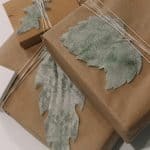 These draped so nice on my gifts and they looked super cute in sets of two or three. 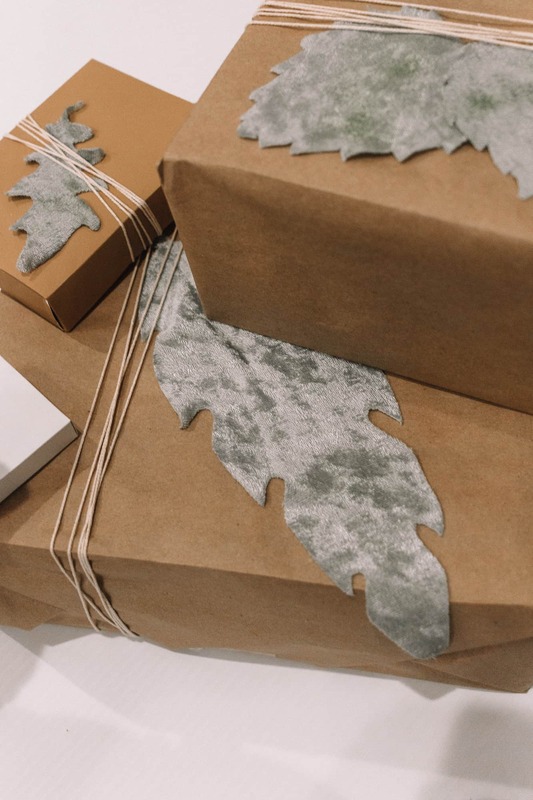 If you liked this post I think you’d also like to read about my gift wrapping tips and all about these DIY Agate Gift Toppers I made!